For our recipe of the week this week, we present a perfect winter warmer with this pinto bean and vegetable stew. Designed to fill you up while being low in fat and high in fibre (and flavour), this delicious four ingredient stew is ideal for dinner but can also be portioned for lunchtime and even as a quick and healthy snack. As there is no meat or animal products used in these ingredients, it is also a great vegan and vegetarian recipe option to enjoy. Wash the pinto beans and then place them into a pot filled with 500ml of boiling water. Bring this water to the boil for ten minutes and then leave it to simmer for a further sixty minutes (for a total cooking time of seventy minutes). As you will see, uncooked pinto beans are very hard and need to be softened before eating. Check them after seventy minutes to make sure you are happy with their consistency (leave them simmering for further five minute intervals if required). When happy, strain the water from this pot and leave the cooked pinto beans in it. 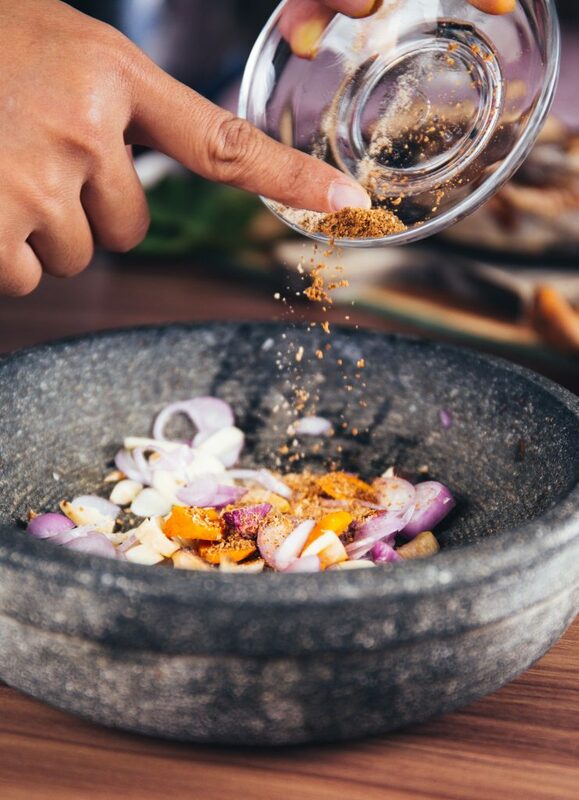 Chop both the pepper and red onions into small chunks and add them to a frying pan with a little oil (using whatever oil you prefer such as olive oil, sunflower oil or vegetable oil). Coconut oil can also be used here, but the ingredients also respond well when fried in more traditional oils. Fry them for no more than ten minutes – ideally until the onions start to become transparent. When finished, add them into the pot with the cooked pinto beans. Next, add your chopped tomatoes (and their liquid) into the pot along with the pepper, onions and cooked pinto beans. On a medium heat, stir the ingredients so that they all become mingled together and are bubbling away nicely. Allow the stew to cool until you can taste it to see if you are happy with it. At this stage, you may want to add vegetable stock if you would like a more balanced vegetable flavour – or one to two teaspoons of paprika for some heat and subtle spice. Serve and enjoy! With a simple three steps and only four ingredients; with this recipe of the week you now have a hearty, healthy and delicious pinto bean and vegetable stew that is filling without being fattening. Enjoy it for your dinner and depending on how much you have left, you may also have some lunch and snacking portions remaining. Filled with fibre and bright vegetables, it is sure to satisfy your hunger and power you up for your next visit to Westpark Fitness.